Rivertowns Square, the sprawling development off the Saw Mill River Parkway in Dobbs Ferry, has a new owner. The site’s developer, Saber Dobbs Ferry LLC, sold the 116,000-square-foot property to Regency Centers for $69 million. The purchase of Rivertowns Square marks the first property acquisition in Westchester for Regency Centers, a Jacksonville, Florida-based owner, operator and developer of grocery-anchored retail centers across the country. The company has 21 offices nationwide, including one in Westport, Connecticut. According to the company’s website, it owns 10 shopping centers across Fairfield County. 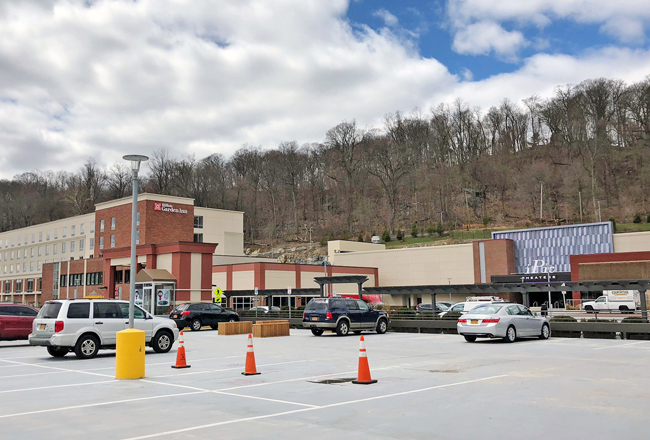 Joanna Rotonde, senior manager of Northeast transactions with Regency, said the company is excited to be a part of the Dobbs Ferry community. Saber Dobbs Ferry, the joint venture between Berger’s Saber Real Estate Advisors and Corey Rabin’s Dobbs Ferry Capital Partners LLC, bought the property in September 2010. After a number of public hearings, an extensive SEQRA process and pushback from nearby residents, developers broke ground on the estimated $150 million project in 2015. Since that time, the site of the former Akzo Nobel Chemical Co. campus has seen a number of retail and restaurant tenants open their doors. Brooklyn Market recently unveiled an 18,000-square-foot retail space on the 17-acre property. Last year, Lincoln Property Co. began leasing units at the Danforth Apartments, the 202-unit, 277,000-square-foot rental building on the north side of Rivertowns Square. The center is also home to an iPic Theater, a 580-seat, eight-auditorium commercial multiplex, and a 4,6000-square-foot chef-driven restaurant, City Perch Kitchen and Bar. 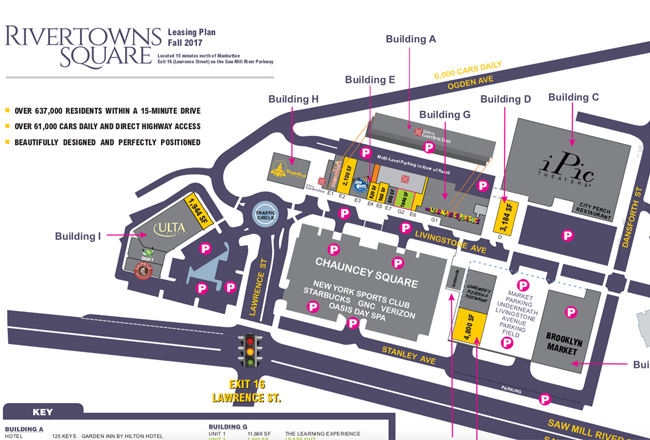 Other tenants include Chopt Creative Salad Co., Ulta Beauty, Chipotle Mexican Grill, Buddah Asian Bistro, Starbucks and New York Sports Clubs. Elsewhere in Westchester, Saber Real Estate Advisors recently received approval from the White Plains Common Council to develop The Collection, an estimated $120 million project that will add shops and apartments along Westchester Avenue across from The Westchester mall. The project will add about 25,000 square feet of retail and restaurant space along with 276 apartments spread between Westchester Avenue and Franklin Avenue. Berger declined to comment on the second development he referred to in his statement.